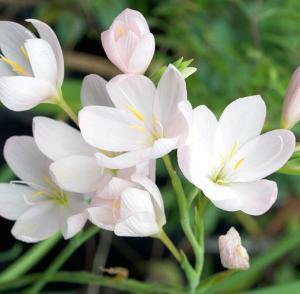 Schizostylis coccinea Pink Princess is commonly known as the Kaffir Lily. A perennial with erect evergreen sword like leaves and very large pale pink flowers during the Autumn. Full sun with moist soil. Height 0.6m.